This was supposed to be another phonography challenge but my week was incredibly full with a weekend of wedding festivities and a Squadron Commanders’ Spouse Course, so although I did use my camera for pictures,none of them were taken at lunch. 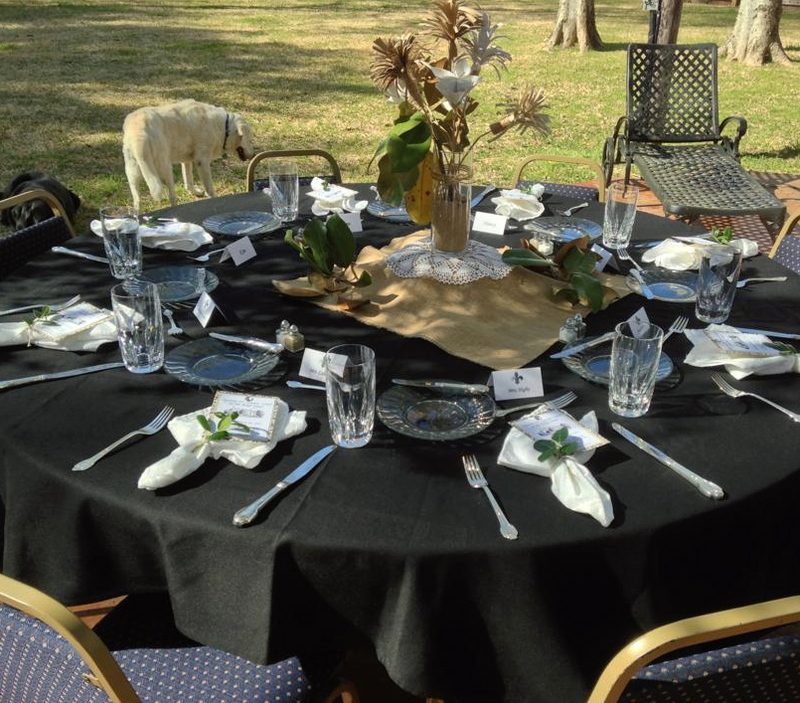 But I love lunch and I love setting a beautiful table so this shot, courtesy of our aide, Sarah Morgan, is a picture of one of the tables at a luncheon at our home this week with a wonderful group of Air Force spouses. Much of the rest of the country was experiencing spring snow but we were dining outside in Louisiana and soaking up the sun. Lunch, for me, is often all about salads and so I take you to the produce aisle of my favorite grocery store in Ohio, Jungle Jim’s. With over 200,000 square feet of shopping space and 150,000 products, this store is a destination, not just a trip to buy groceries! 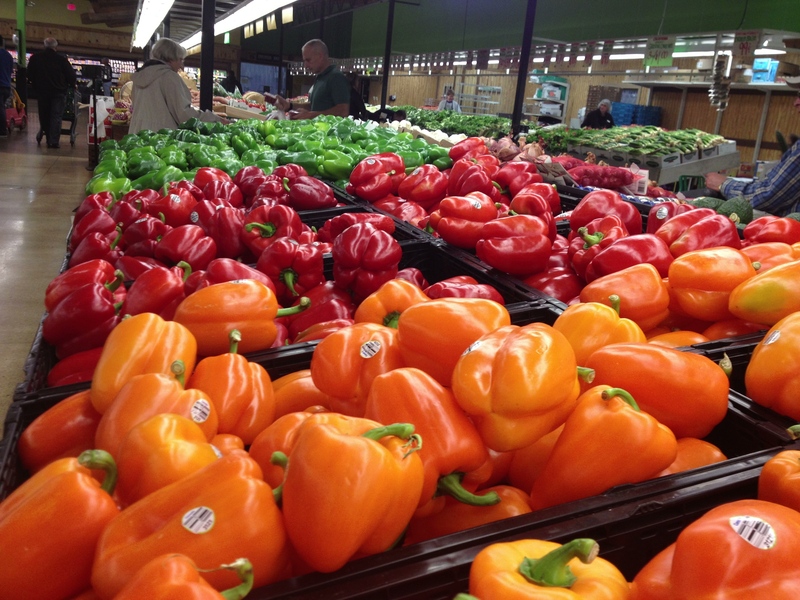 The produce section in any grocery store is a wonderful montage of color and texture but in this particular store it’s also an adventure consisting of trying to identify foods from other places. Not to mention, a challenge in trying NOT to bring all of it’s bounty home. Just think of the lunches a person could make! Absolutley amazing pics. Loved them! And this is just one part of the store! I also love their cheese shop and wine selection. The store is divided into countries and they have just about anything you might be looking for. Luckily, for my bank account’s sake, Jungle Jim’s is a 13 hour drive from my home in Louisiana!